Eldon Cooper is a walking miracle and a testament to the power of God. 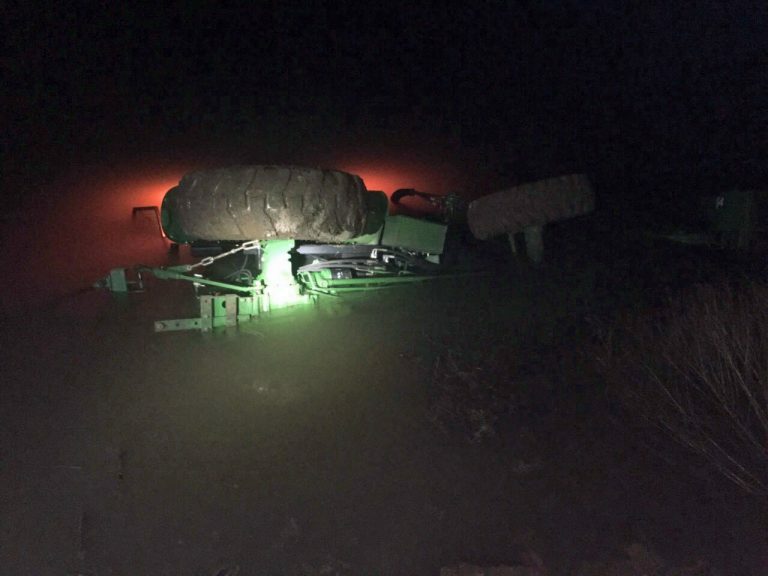 This past February, he was checking on his pond on his Arkansas property when his John Deere tractor went under water, trapping him underneath. Cooper believes with all his heart that his survival was due to divine intervention. On that fateful day, Cooper had plans to meet his wife Debra at their 6 p.m. Bible study. But before he went, he decided he needed to check on their pond. It sat on their 25-acre property and was home to a dam that needed to be regularly monitored. He drove down to the pond, filling a bucket of dirt on the way for the dam. Once he made his way to the dam, he realized that there was a 4-foot drop due to the heavy raining over the previous days. The John Deere only had one door on the left side, which Cooper quickly realized would be detrimental if it rolled. Minutes later, his worst fear came true, and the tractor started to roll. Cooper got out of the tractor cab before it started filling with water, managing to get his mouth and nose above the water. He knew there was only one thing he could do at that point: pray for God’s intervention. He didn’t ask for his own life, but that God could work through whatever happened. Cooper eventually lost consciousness, but right before he did, he remembers the flashers on his tractor turning on. He knew that God had his hand in it because these could only turn on by their rotary switch. He didn’t show up to the Bible study that night, which worried Debra. When she arrived home around 7:15 p.m., she headed straight to the pond, which she was led to by the tractor’s flashers. Debra saw that the tractor was turned over, with the only door being blocked by the bottom of the pond, and immediately called 911. While she waiting, instead of panicking, she called all her family, friends and church members to start a prayer chain. When responders arrived, they thought that Cooper must have been dead due to the position of the tractor. They then decided that they would come to recover Cooper and his tractor the next day, as no rescue was needed. But God was still working. The response team was about to leave when Cooper’s brother called out to him. They called those who had left back, as well as another ambulance. Then, they extracted a barely alive Eldon from the tractor. It had been three and a half hours in the 49-degree water, yet Cooper’s heart was still beating. He was admitted to the hospital and woke up hours later at 1:30 a.m. to nurses struggling with his IV. Two days after the incident, he was released, recovering much faster than anyone had expected. Ever since that fateful incident, Cooper has been adamant about the role that God played in delivering him from certain death.